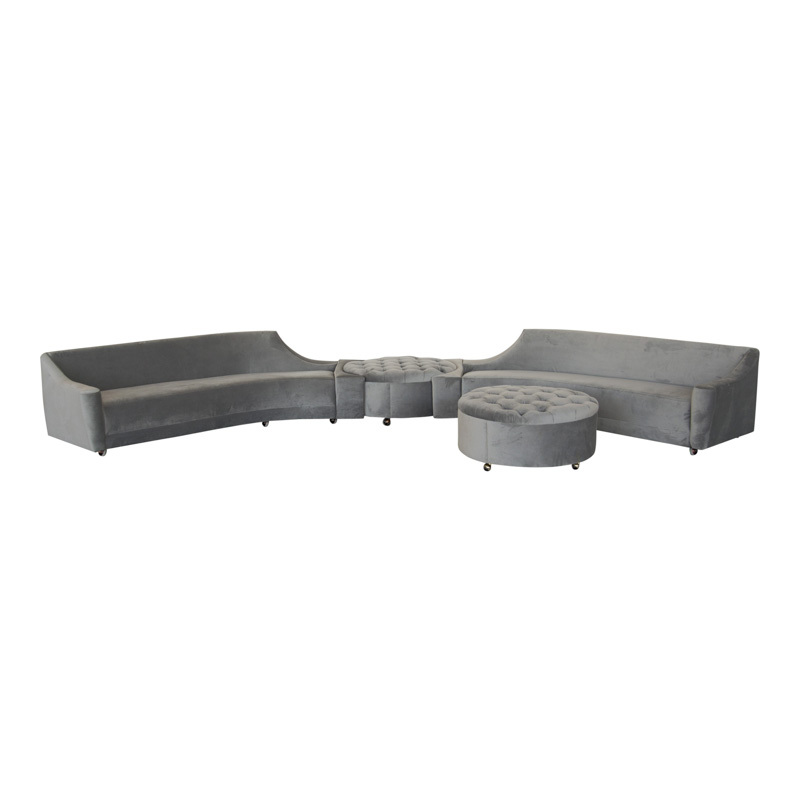 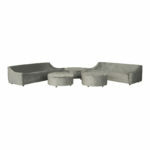 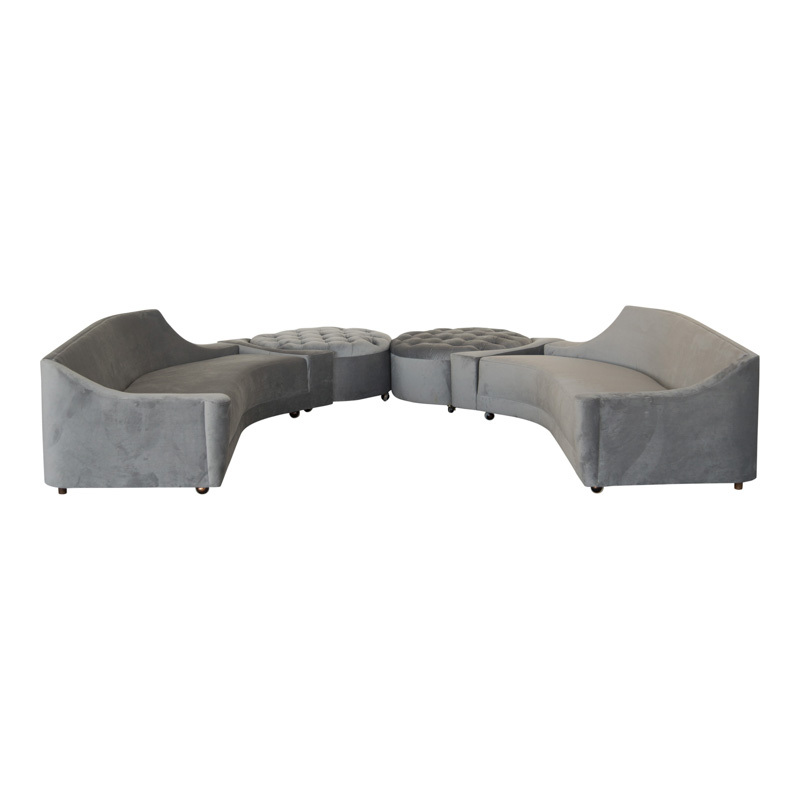 Large grey velvet sectional with removable tufted ottomans. 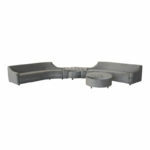 Very versatile and allows for various styling options. 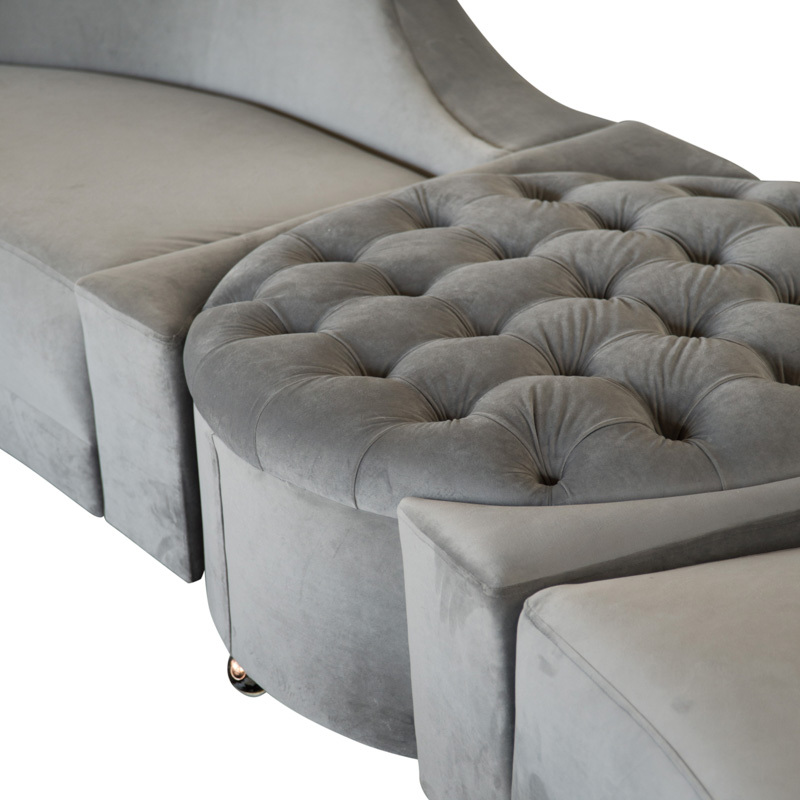 Measurements: 90″ long couches, 37″ round ottomans. 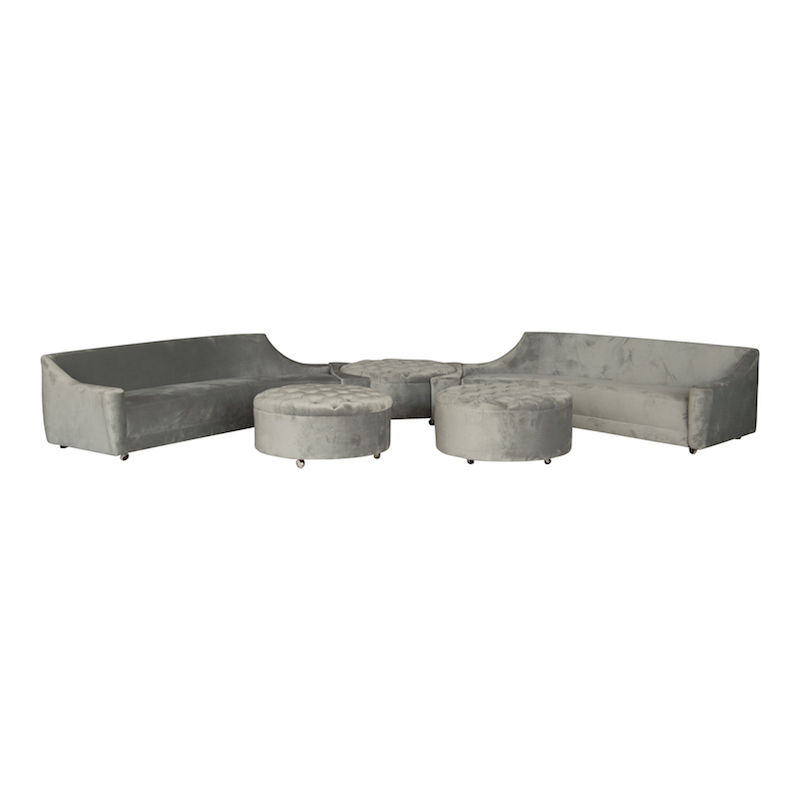 Overall measurement is based on 2 couches and 1 ottoman.